Conference Venue: All sessions will be held at the Ernest N. Morial Convention Center. It's #1 on the New York Times' Places to Go 2018 list, and one of TripAdvisors' Most Excellent Cities in the World 2018. And for good reason! The Big Easy is famous for its delicious food, unique culture, vibrant music, and much more. The city crackles with energy best summed up by the Cajun phrase "laissez les bon temps rouler"…let the good times roll! All three conference hotels are conveniently located within 3 blocks of the Ernest N. Morial Convention Center. No matter which hotel you choose, you'll be right in the heart of downtown New Orleans: convenient to the French Quarter, the Garden District, and other exciting attractions and colorful neighborhoods. A stroll in any direction reveals easily walkable streets, vibrant restaurants and shopping, plus a soul that combines the city's unique history with the vitality of a modern city. NOTE: Messages from Conventioneers regarding hotels in New Orleans are NOT authorized by NAFCU. Please refer to this page for details on any hotels contracted with NAFCU for the 52nd Annual Conference and Solutions Expo. Discounted hotel room rates are available through May 24, 2019 or until sold out. Rooms are only $219 at the discounted rate (or $229 with a view) plus 15.75% tax and a $3 occupancy fee per room per night when you call the hotel and mention NAFCU or reserve your room online. Rooms are only $217 at the discounted rate plus 15.75% tax and a $1 occupancy fee per room per night when you call the hotel and mention NAFCU or reserve your room online. Rooms are only $265 at the discounted rate plus 15.75% tax and a $3 occupancy fee per room per night when you call the hotel and mention NAFCU or reserve your room online. Federally chartered credit unions are exempt from tax if payment is made by the credit union's official check or credit card. If you’re paying with an official federal credit union credit card, please download, print and complete the required tax exemption forms. Present these forms to the hotel front desk upon check-in. If you are staying at the Hampton Inn, this hotel requires that official credit union check payments be submitted, along with the completed tax exemption forms, 14 days in advance of your check-in date. This allows the hotel to process the check in a timely manner. Check payments will not be accepted upon arrival at this hotel. Louis Armstrong New Orleans International Airport (MSY) is 14 miles from the conference hotels. Ground transportation information. Reservations and ticketing are available via www.delta.com/meetings or by calling our Delta Meeting Network Reservations at 800-328-1111. When booking online, select "Book Your Flight" and enter meeting code NY2N3 in the box provided. Book online at www.united.com and enter your Offer Code ZGGW965268 in the offer code box when searching for your flights. If booking through a travel professional or United Meetings at 800-426-1122, please give them the following information: Agreement Code: 965268; Z Code: ZGGW. Special discounted rates are available through AVIS and Budget. For AVIS, please visit the Avis website or call 800-331-1600 and give the NAFCU Avis Worldwide Discount (AWD) code B469299. For Budget, please visit the Budget website or call 800-842-5628 and give the Budget Customer Discount (BCD) code Y305099. New Orleans weather in June tends to be very warm and humid. Average temperatures in June range from lows in the 70s to highs in the upper 80s. We recommend you dress light for summer, with an umbrella or a plastic poncho for those occasional June showers and thunderstorms. Big Food and Big Fun! Emeril’s New Orleans: Celebrity chef Emeril Lagasse’s flagship restaurant has been a definitive force in contemporary New Orleans cuisine. It’s won Esquire magazine’s “Restaurant of the Year” and Wine Spectator’s “Grand Award” for 14 consecutive years. Restaurant Rebirth: Farm-to-table Cajun and Creole cuisine from a restaurant that keeps things so fresh, they even squeeze their own sugar cane juice for syrups and vinaigrettes. The chef grew up in the bayous—and the excellent food proves it! Antoine’s Restaurant: This classic Creole restaurant is notable for being the “inventor” of several famous dishes such as Oysters Rockefeller, and Pompano en Papillote. It features 14 dining rooms of varying sizes and themes, with several featuring Mardi Gras memorabilia. Commander’s Palace: First-class staff and an old-world ambiance make this iconic eatery the shining star for refined Creole fare. Known for its award-winning quality and cheerful atmosphere, Commander’s Palace has been a New Orleans landmark since 1893. GW Fins: This high end, French Quarter eatery features a variety of seafood served at its seasonal peak. You’ll experience creative presentation of natural flavors and textures for each type of fish. La Provence: This charming north shore restaurant features traditional French cuisine served in a country-style setting. A laid back, classy atmosphere, exceptional French dishes and beautiful scenery make for the perfect dining experience. 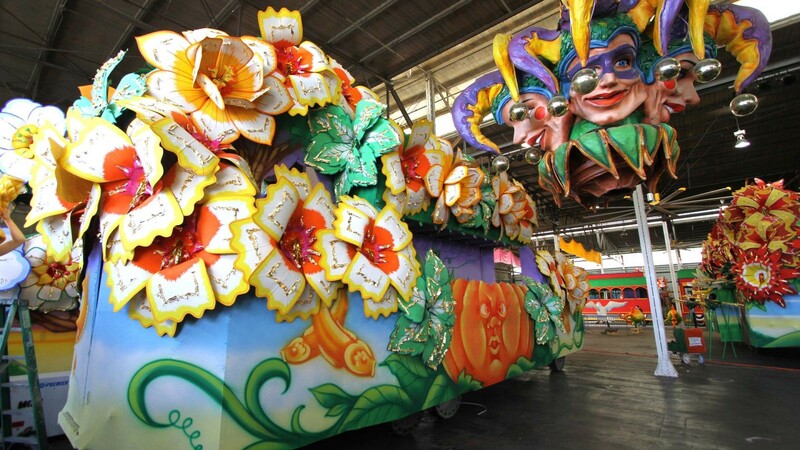 Blaine Kern’s Mardi Gras World: See hundreds of Mardi Gras floats, regalia, costumes and more in the place where most of the floats are both made and stored! It’s a great way to get up close and personal with Mardi Gras—without the crowds! French Quarter: One of the best ways to experience New Orleans’ roots is a stroll through French Quarter. A must-see for its high energy, rich history, diverse architecture, and lively nightlight, the French Quarter is the beating heart of New Orleans. St. Louis Cathedral: Built in 1727, it’s one of New Orleans’ most visually stunning landmarks and also the oldest, continuously active cathedral in the U.S.
Magazine Street: This six mile long shopper’s paradise is home to dozens of funky boutiques, galleries, and restaurants. 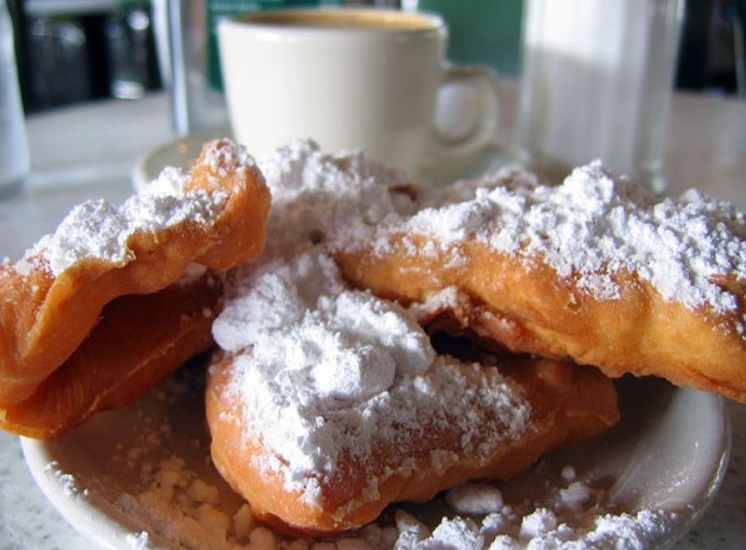 It’s a terrific place to connect with locals and sample some famous New Orleans hospitality. City Park: This massive outdoor oasis is perfect for a walk, run or bike through endless paths covered by the shade of ancient live oak trees. With an area of 1300 acres, City Park is twice as large as New York’s Central Park. National WWII Museum: Walk through impressive exhibits that cover the story of the American Experience in the war that changed the world. This military history museum features a rich collection of artifacts telling stories of heroism and liberation.